Every home or business owner strives to keep property and the all that is within safe and secure. Security systems can help you keep your property safe in case of a house, and for business it will not only protect your assets but also employees and customers. Having worked so hard to accumulate assets over a period of time, it would be painful to see all that getting in the wrong hands as a result of break-ins and theft or being wasted. In the recent past Australia has seen the rate of crime increase. In the year 2016-17 there were more than 414,100 criminal activities reported. Many of these offences were break-ins and theft. In 2017 alone Australia recorded more than 225,900 burglaries meaning that there was one attack every three minutes. A study found out that twenty percent of the Australian homes have experiences break-ins or burglary at some point. With these kinds of figures securing your business premises, home or any other asset is paramount. Installing alarm systems is one of the most effective ways through which you can safeguard both property and people within a house or a business premise. Protect against unexpected and unannounced people who may want to gain entry. It is not possible to keep vigil all day and night. If someone tries to break doors or windows the alarm goes off. This will serve as a warning to those attempting entry that somebody is watching and is aware of their presence. This deters them from their action, meaning your property or even family live to tell the story. When you install the alarm monitoring system, people trying to gain unauthorized entry into your property will be put off helping keep your people and assets safe and secure. You would not have peace of mind as you will keep on thinking about things that might happen in your property. When out on a travel mission or anything that will keep you away from your property all that you do is worry about what would happen. This means that you cannot even enjoy a holiday away from home as you have to keep on calling back at home to find how things are. With a alarm systems, you have a peace of mind. Your asset is secure and safe; wherever you are, you will rest assured that things are being monitored. 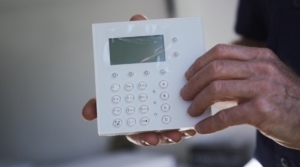 Installation of alarm systems in your property is only done once. It is a system that can last for a long period of time. 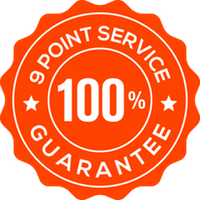 With proper periodic maintenance, you will enjoy their services longer than you can ever think. It is a great way to secure your property, at a relatively low cost. You get value for your money, knowing that the property is well secured and at the same time are protected from intruders or those who have ill intentions.